361 Multi-Strategy Fund pursues capital appreciation with low volatility and low correlation relative to the broad domestic and foreign equity markets by establishing long positions in individual equities and short positions in individual securities or indexes. The strategy is quantitatively driven and non-diversified. The fund will be managed by an interesting team: Brian P. Cunningham, Thomas I. Florence, Blaine Rollins and Jeremy Frank. Mr. Cunningham had a long career in the hedge fund world. Mr. Florence worked at Fidelity and was president of Morningstar’s Investment Management subsidiary. Mr. Rollins famously managed Janus Fund, among others, for 16 years. Mr. Frank appears to be the team’s preeminent techno-geek. This is 361’s fourth fund, and all occupy the “alternatives” space. The first three have had mixed success, though all seem to have low share-price volatility. The minimum investment in the “Investor” share class is $2500. Expenses not yet disclosed. There’s a 5.75% front load, but it will be available without a load at places like Schwab. Brookfield U.S. Listed Real Estate Fund (“Y” shares) will pursue total return through growth of capital and current income. The strategy is to invest in some combination of REITs; real estate operating companies; brokers, developers, and builders; property management firms; finance, mortgage, and mortgage servicing firms; construction supply and equipment manufacturing companies; and firms dependent on real estate holdings (e.g., timber, ag, mining, resorts). They can use derivatives for hedging, leverage or as a substitute for direct investment. Up to 20% can be in fixed income and 15% overseas. The fund will be managed by Jason Baine and Bernhard Krieg, both portfolio managers at Brookfield Investment Management. Brookfield’s composite performance for separate accounts using this strategy is 14.8% over the past decade. MSCI Total Return REIT index made 10.8% in the same period. The minimum initial investment is $1000. The e.r. will be 0.95%. Baywood SKBA ValuePlus Fund will shoot for long-term growth by investing “primarily in securities that it deems to be undervalued and which exhibit the likelihood of exceeding market returns.” (A bold and innovative notion.) They’ll hold 40-60 stocks. The fund will be the successor to a private fund in operation since June, 2008. That fund returned an average of 7.2% annually over five years. Its benchmark (Russell 1000 Value) returned 4% in the same period. The fund will be managed by a team from SKBA Capital, led by its chairman Kenneth J. Kaplan. The minimum initial investment is $2500. The expense ratio will be 0.95% after waivers. 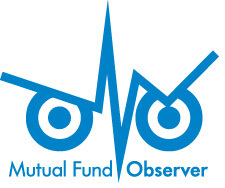 The fund expects to launch on or about December 1, 2013. Convergence Opportunities Fund will pursue long-term growth through a global long/short portfolio, primarily of small- to mid-cap stocks. They’ll be 120-150% long and 20-50% short. The fund will be managed by David Arbitz of Convergence Partners. Convergence, which has had several names over the years, operates separate accounts using the strategy but has not disclosed the performance of those accounts. The minimum initial investment is $2500 and expenses are capped at 1.50%. They expect to launch by the end of November. Croft Focus will seek long-term capital appreciation by investing in a global, all-cap value portfolio. The fund will be managed by Kent G. Croft and G. Russell Croft. Croft Value (CLVFX) uses the same discipline but holds more stocks (75 versus 25 at Focus) and is less global (Value is 95% domestic). Value had a long string of great years, punctuated by a few really bad ones lately. It is undoubtedly better than its current retrospective return numbers show but its volatility might give prospective investors here pause. The minimum initial investment will be $2,000. Expenses are capped at 1.30%. First Eagle Flexible Risk Allocation Fund (“A” shares) will seek “long-term absolute returns” by investing, long and short, in equities, fixed income, currencies and commodities. They’ll pursue “a flexible risk factor allocation strategy and, to a lesser extent, a tail risk hedging strategy.” There is a bracing list of 36 investment risks enumerated in the prospectus. The fund will be managed by JJ McKoan and Michael Ning, who joined First Eagle in April 2013. Before that, they managed the Enhanced Alpha Global Macro, Tail Hedge and Unconstrained Bond strategies at AllianceBernstein. Mr. McKoan has a B.A. from Yale and Mr. Ning has a doctorate from Oxford. The minimum initial investment is $2500. Neither the sales load nor the expense ratio has yet been announced. FlexShares® Global Quality Real Estate Index Fund will invest in a global portfolio of high-quality real estate securities. They expect to hold equities issued by mortgage REITs, real estate finance companies, mortgage brokers and bankers, commercial and residential real estate brokers and real estate agents and home builders. The managers will try to minimize turnover and tax inefficiency, but the prospectus says nothing about what qualifies a firm as a “quality” firm or how far a passive strategy can be tweaked to control for churn. It will be managed by a Northern Trust team. Expenses not yet set. Gator Opportunities Fund will pursue capital appreciation by investing in high-quality domestic SMID-cap stocks. It will be non-diversified, but there’s no discussion of how small the portfolio will be. The fund will be managed by Liron “Lee” Kronzon, who has managed investments but has not managed a mutual fund. Its microscopically small sibling, Gator Focus, launched in May with pretty modest success. The advisor’s headquartered in Tampa, hence the Gator reference. The minimum initial investment is $5000. The expense ratio will be 1.50%. Spectrum Low Volatility Fund will be a fund of fixed-income funds and ETFs. The goal is to capture no more than 40% of the stock market’s downside. Color me clueless: why would a fixed-income fund benchmark to an equity index? The fund will be managed by Ralph Doudera. Mr. Doudera has degrees in engineering, finance and Biblical studies and has been managing separate accounts (successfully) since the mid1990s. The minimum initial investment is $1000. The expense ratio is capped at 3.20%, a breathtaking hurdle to surmount in a fixed-income fund. RSQ International Equity Fund will seek long-term growth. It seems to be more “global” than “international,” since it commits only to investing at least 65% outside the US. Security selection in the developed markets is largely bottom-up, starting with industry analysis and then security selection. In the emerging markets, it’s primarily top-down. The fund is managed by a team that famously managed Julius Baer International and infamously crashed Artio International: Rudolph-Riad Younes, Richard Pell and Michael Testorf, all of R-Squared Capital Management L.P. The minimum initial investment is $2500. The expense ratio is capped at 1.35% for Investor shares. Frankly, I’m incredibly curious about this development. This entry was posted in Funds in Registration on October 1, 2013 by David Snowball.